You remember my last post where I feared how Gautham is gonna copy his own movies? Yeah, that happened. The movie had all pieces from his earlier movies joined neatly together. Ok let me just start again. I enjoyed the movie, no doubts. It’s Ajith 😍 on screen with Trisha 😍. While I ogled at him, B happily ogled at Trisha. Apart from his good looks his performance was good too. I loved his Raghavan-style hair n moustache. His salt n pepper style was good too but he looked really old, like old with dark circles and wrinkles to show all the 11 year difference in the plot. Trisha….!!!! Though she comes for few minutes and a song, she looks absolutely gorgeous. Her costumes were tooooooo good and neat. Although the naatiya peroli part was too much, she exactly did her makeup like those classical dancers do in real life – too much kohl to define the eyes and cotton sari..
Don’t get me started about Anushka.. I hate her bangs and don’t know who styled her. They really don’t know what they were doing, I guess. And the movie moves in an absolutely snail pace in the beginning, thanks to her. Why was that unnecessary introduction scene included in the movie – she in meeting, telling her dad she is busy, the ponnu-pathufying and that horrible song. Oh not the ‘oodha coloru ribbon’ song, her intro song.. The first half was dragging here n there and there wasn’t a strong enough screenplay during the ‘undercover’ part. After interval, it started getting better. Partly because of the BGM. 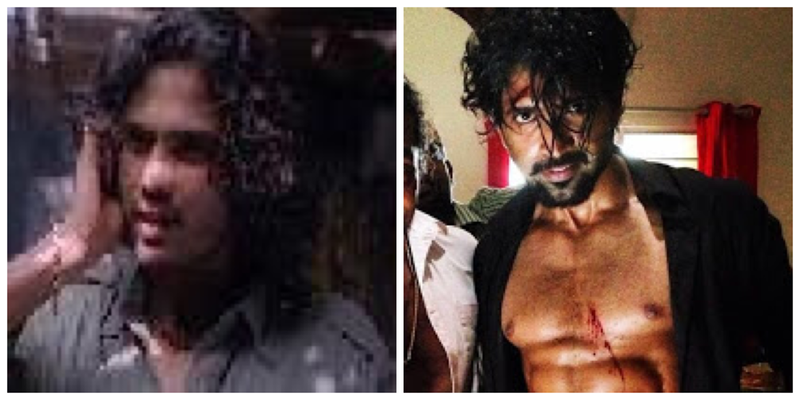 Arun Vijay tastes success after 18 years.. 18 years is a really long time for someone to succeed in film industry. B lurrrrves his physique. (I know right?!?) But sadly even his portrayal makes me think of ‘Pandiya’ of Kaakha Kaakha’. 2) certain scenes had brand new dialogue that was not copied from Gautam’s other movies. 5) comedy wasn’t included as a separate track and fused within the scenes here n there by Vivek’s dialogues. 3) the unnecessary inclusion of Golden Raj and Mathew. Or not a strong plot in there. 4) too much resemblance to previous Gautam movies. This period drama is directed by Vasathabalan,with music by A.R.Rahman (Stupid Reason#1). 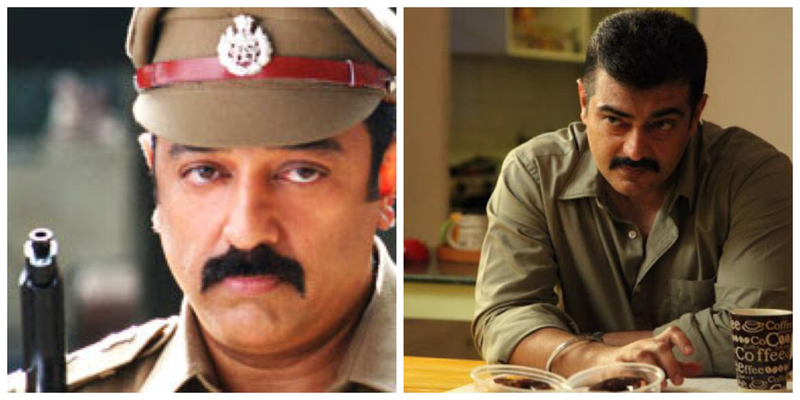 It has a big cast including Siddharth, Prithviraj (Stupid Reason#2), Nassar, Vedhika, Thanmbi Ramaiah to name a few. Sivadas Swamigal (Nassar) owns a theatre troupe of which Kaliappa (Siddharth) and Gomathi Nayagam (Prithvi) are a part of. Swamigal feels that Kali shows promises of a great drama artist, especially one fit to play the Rajapart (meaning- the hero role, which I came to understand only after half the movie :P) . This threatens the dreams of Gomathi, who has been with the guru even before Kali came to join them. Until then, the duo are pretty close brothers, but after Swami’s decision to cast Kali for the Lead role in upcoming dramas, Gomathi envies him and plots his downfall. Vadivambal (Vedhika) joins the male-only troupe and its crazy-love-at-first-sight for her and Gomathi. Not mutual. Gomathi admires Vadivu, while she falls for Kali’s charms and acting skills, giving all the more reason for him to hate Kali. Yep,the age old triangle love story, that leads to conflict. Siddharth’s acting has evolved greatly. His theatre performances are samples of how he has improved, way better than he was in Boys. Even better than NH4 or Rang De Basanti. Because in those two movies, I think he was way too quiet n calm. But here, he has acted! Watch the movie for Prithvi and Siddharth’s performance!! The movie has wonderful cinematography (Nirav Shah)and I cant say it brings 1930’s to your eyes exactly, but a good effort by the art director. One thing that kept popping in my mind after seeing Rangamma’s (Anaika Soti) costumes. She looks way more westernized for a Zamindar’s daughter. Here n there, I felt she looked like Shruti Hassan. The songs except one or two will not linger in your heart forever. I like the choreography for the song ‘Ey sandi kudhirai..’ especially the moves for “Mohana…” . It disappointed me… 😦 So i’ll rate it for a 3 out of 5. And that’s because of Siddharth n Prithvi. 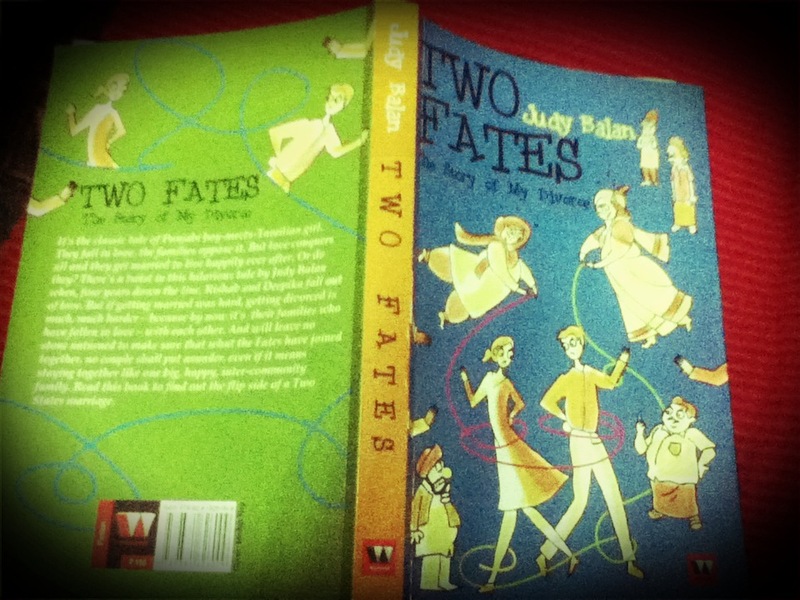 I’m one among the many followers of Preeti Shenoy’s blog, and have read her previous books as well. I had picked this book earlier in December, and finally read it today..
How long does it take to heal a broken heart? Can you ever forget that one perfect relationship you had? Anjali knows who she wants, she wants Aman. Aman too knows who he wants, he wants Shruti. Shruti and Aman were once inseparable. Theirs was a love that would last forever and more. Then, out of the blue, Shruti left Aman. A devastated Aman moved abroad in the hope of forgetting Shruti and to heal. Shruti married Rishabh. Now Aman is back in India and looking for a fresh start. But he is still haunted by memories of his love. Can he ever break free from it? His head tells him to move on, to find love with Anjali, but his heart wont listen. No matter what he does, Shruti’s shadow looms large. Can there be a happily-ever-after for any of them? A straight-from-the-heart modern-day romance of unrequited love, of complicated relationships and about moving on when you realize that there will always be the one you cannot have. Preeti’s books are much talked about for the reality in it unlike the IITian-based filmy “bestsellers” (no, I’m not prejudiced!!) 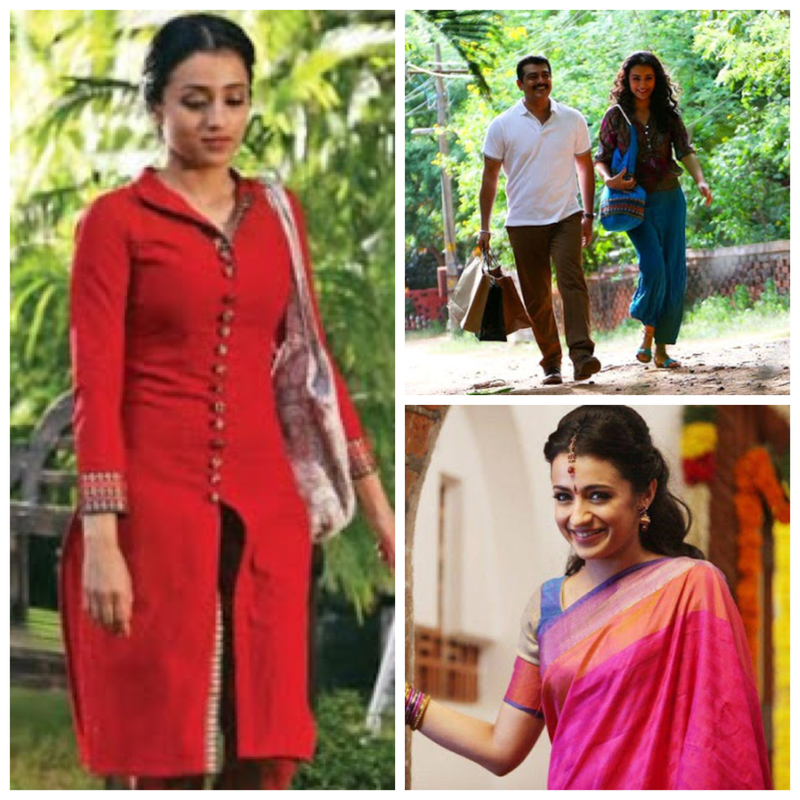 Among the three, i liked the portrayal of Anjali’s character the most. Very easy-going and cheerful she really charms her way inside you. Even though the main female protagonist Shruti is described as the artistic one, a romantic at heart, I still go for Anjali. Aman comes of as a very sensible guy, who fights hard with his past and engrosses himself in his work. He truly wins my heart when he makes the right decision to move on and pursue Anjali. And i hated Shruti’s friend Asha. It was an ok-ok read, for me. The plot was good, but the story had been dragging here and there. Unrequited love is hard, but when its gets mentioned too many times, you no longer relate to it. I kind of felt as though all the married characters were trying to convey one thing to the universe – marriages are a hard thing to work on, no matter what happens, one of the two will fall out of love. It might be a bitter truth,but then projecting that so many times throughout the novel was kind of a minus, at least to me. And there was nothing about Dipika – the desperate housewife – in the end. Preeti has played around with the narration, told from all three characters, especially Aman’s – a guy’s perspective, a first for the author. And no doubt, it has come out so very well. The bits from the magazine Anjali works for -Tiara – the relationship advice were all pretty well known, and there was nothing much different about it. And the poem Shruti writes for Aman is damn good, after all how can we forget that Preeti Shenoy is a poet too.. I’m not totally against this book, but it didn’t work for me. A one-time read? I did love “Tea for two and a piece of cake” though. I would still give a 3/5.. the parts where its just Aman and Anjali is no-nonsense and good.